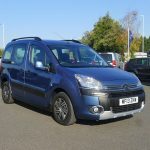 A Berlingo with plenty of power having a 1.6 cc diesel engine and an automatic gearbox too. 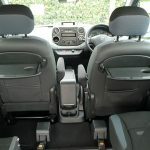 A great little car to get a wheelchair user out and about in. 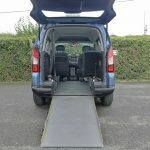 The conversion is by G M Coachworks and adapted with lowered floor and a two piece ramp with a generous width of 31.5 inches – ideal for a larger wheelchair. 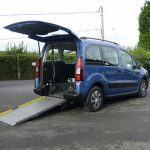 The Berlingos are very popular with wheelchair users and easy to use and get around in due to their compact size. 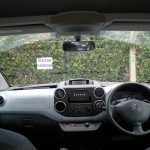 So parking up in hospital car parks or supermarkets etc is really easy to manage. 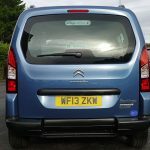 The wheelchair restraints and safety belt systems installed in these vehicles have been rigorously tested and provide a safe method of securing the wheelchair and wheelchair user into the vehicle before setting off on any journeys. 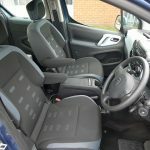 This WAV has a rear passenger seat fitted that can also be folded forwards and out of the way should the wheelchair user require any additional space – very versatile. 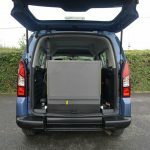 The rear seat can also be used as somewhere to place any essential items required by the wheelchair user. 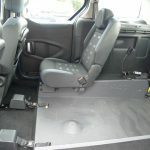 Air conditioning is also included in this vehicle and great to have on those warmer days. 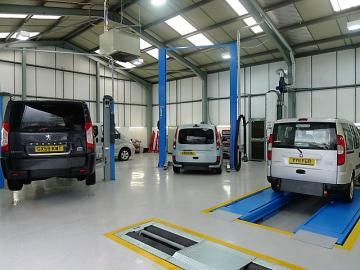 Great all round visibility and a vehicle that ticks all the boxes. 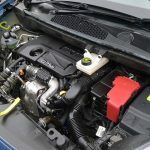 If you are new to this type of vehicle, please check out the ‘Advice, section above where you will find a wealth of useful information. Please give us a call if you need any further information.